If you're considering going back to school for an MFA, it's important to find a quality program. Everything from the financial assistance and campus resources your school provides to the student-teacher ratio in your classes will impact your studies and the quality of your education. In an MFA program, you're given the chance to work alongside some of the country's greatest talents and even find a mentor. To help you find the right school for your interests and goals, we've compiled a list of some of the top fine arts programs in the country. Schools are presented in the order of number of MFAs awarded in 2013 as indicated by the National Center for Education Statistics. These programs provide excellent instruction and help students graduate with the requisite skills to turn their passion into a career. 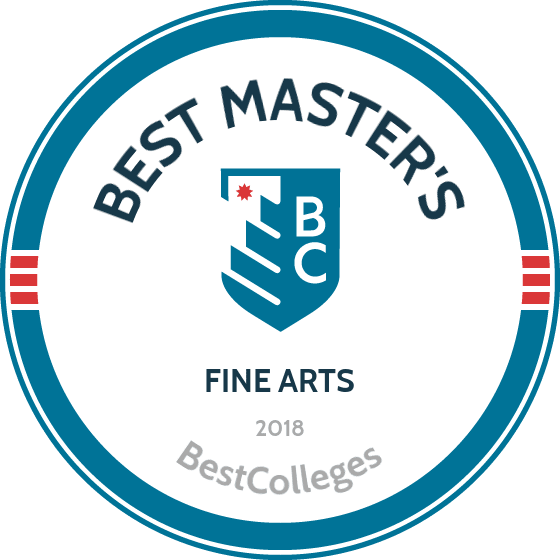 Check out our ranked list below to learn more about each of the schools on our ranking of the 25 best MFA programs in the country. Now in its 150th year, the School of the Art Institute of Chicago has trained acclaimed artists like Georgia O’Keeffe, Grant Wood, Edward Gorey and Jeff Koons. The low student-faculty ratio compensates for a high tuition rate, offering students face-to-face time with distinguished instructors like Michelle Grabner and Glenn Ligon, and an opportunity to build connections with classmates and peers. The campus spans beautiful downtown Chicago, inspiring students with spectacular architecture in modern and historical buildings. 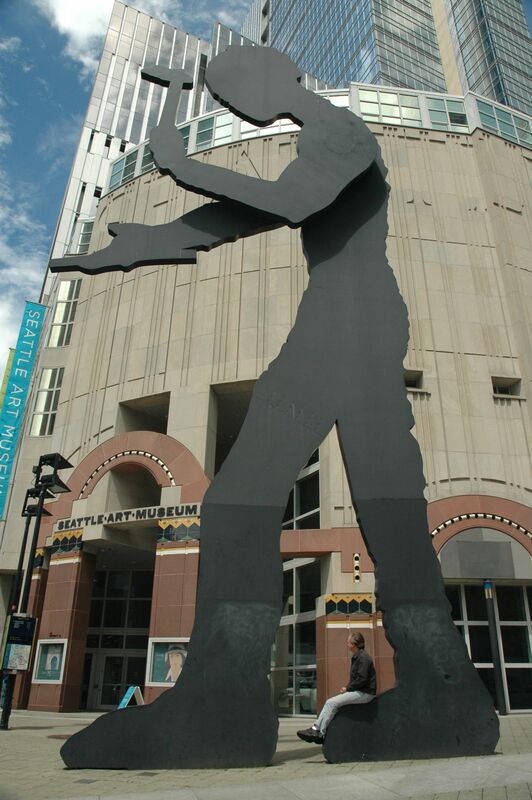 Students can also use resources at The Art Institute of Chicago, one of the most visited art museums in the world, and special collections and venues holding exhibitions, lectures, galleries and performances across the city. In addition to participating in a variety of external scholarships and grants, SAIC awards a number of internal scholarships and grants. For the 2014-2015 school year, SAIC awarded $32 million in assistance funding to ensure that talented artists from all economic backgrounds had the opportunity to attend. Beyond a host of MA programs, SAIC offers master's programs in studio and writing. Both degrees allow students to work one-on-one with talented faculty and peers. NYU is the largest private nonprofit institution of higher education in America, with more than 20 sponsored schools across six campuses throughout Manhattan and Brooklyn. NYU is home to a variety of fine arts programs. Esteemed alumni include Martin Scorsese, who graduated with an MFA and then taught film to students like Oliver Stone before becoming one of America’s most influential filmmakers. Faculty for NYU’s MFA for creative writing program include Zadie Smith, an esteemed author famous for her novel White Teeth, and Marie Howe, New York’s current state poet. A low-residency MFA writers workshop in Paris is available through NYU’s fine arts program. Additionally, the school provides departmental fellowships and undergraduate teaching positions for students in their second year. The Pratt Institute offers a general MFA rather than degrees in a specific discipline, allowing students to tailor the curriculum to suit their interests. At Pratt, students work one-on-one with faculty members and department advisors to meet individual goals. The school also offers a dual degree through their history of art and design program. Pratt's fine arts program includes painting and drawing, printmaking, photography, sculpture and integrated practices like installation, public art and performance. Students work in top-of-the-line studios to fulfill their personalized M.F.A. programs. The school is home to a fully-equipped wood shop, metal shop, print shop, ceramics studios, darkrooms, digital labs and campus galleries. Students have many opportunities to share their work on and off campus. Opening their studios to the public each semester, faculty members regularly visit and review student work. Internationally renowned artists occasionally stop in to visit and critique as well. Founded in 1869, Yale is home to America’s first professional fine arts school. Offering MFA degrees in graphic design, painting and printmaking, photography and sculpture, Yale's remarkably low acceptance rate ensures that students in the program are talented and passionate about their work. Alumni include esteemed artists like Jonathan Borofsky, known best for his Hammering Man sculptures in Seattle and around the world. An MFA in various theatrical arts is also available through the drama school, which has produced famous actors like Meryl Streep, Sigourney Weaver, John Turturro and Lewis Black. Known for its diverse programs and specializations, the Savannah College of Art and Design offers a number of MFA programs. The school grants degrees in writing, painting, interior design, photography, film & television, performing arts, graphic design, historic preservation and more. Many SCAD MFA degrees are available online through their award-winning eLearning program. Boasting cutting-edge resources, experienced faculty and access to successful artists and writers, the school provides a rich, creative learning environment. SCAD writing graduates have landed jobs with Vanity Fair, TIME magazine, the Atlantic Monthly, Reader's Digest, Southern Living and Paste Magazine. SCAD painting students and alumni have exhibited work at acclaimed museums around the globe, from Guggenheim to the Museum of Modern Art and the Smithsonian. Offering more degree programs and specializations than any other art and design university, SCAD is a great choice for a those interested in pursuing an MFA degree in an art school. Spanning seven colleges, mainly within New York's Greenwich Village neighborhood, the New School University offers MFA degrees in several disciplines. Artists can study everything from writing and design to drama, photography, fashion and more. Classes are small and relatively unstructured, allowing students to personalize the program to meet their career goals. Esteemed alumni of the New School include Eleanor Roosevelt, James Baldwin and Woody Allen. The creative writing program is perhaps the most famous of the seven colleges within the school. Students receive one-on-one training with world-recognized faculty members that hold close ties to New York's publishing industry and the literary realm. Additionally, the Parsons School of Design is The New School’s highly regarded art college; it awards most of the university’s MFA degrees. The University of Iowa offers an MFA in English with either a creative writing or a nonfiction writing focus. UI also has an MFA in Creative Writing and Environment, a three year program centered on nature and how it relates to the human experience. The school also awards MFAs in graphic design, interior design and integrated visual arts. UI offers low tuition rates for in-state students and provides scholarships, grants, fellowships and assistantships to offset expenses for people coming from out-of-state. With barely 400 graduate students and an average class size of 11 artists, RISD provides individual attention to each student. The school's acceptance rate is below 30%, ensuring students that their classmates are talented and dedicated to their craft. Founded in 1871, San Francisco Art Institute is America’s oldest art school west of the Mississippi. The school has played a part in several significant art movements throughout its history, including the beat movement in the 1950's. In that time, SFAI has attracted a breadth of vibrant students ranging from stars Paul McCartney and Andy Garcia to academy award winning cinematographers like Peter Pau. As part of the MFA program, students build their own curriculum around the skills they’ll need to succeed as professionals. Students work independently on projects in the studio or in the field, and one-on-one with faculty who provide guidance through graduate-level tutorials and critical seminars. The MFA Exhibition concludes the program: here, students can share their projects with a large audience. SFAI awards over $8.5 million in fellowships, grants and scholarships to students each year. Outside grants and scholarships are accepted as well. Enrolling between 50 and 60 students annually, the New York Academy’s intimate learning environment and one-on-one training fosters success: in fact, 98% of students in the 2012-2013 school year graduated. The graduate school combines rigorous technical training in traditional methods and techniques with active critical discourse. Founded in 1982 by a group of artists and advocates, including Andy Warhol, the New York Academy of Art has revived the training of figurative and representational art. The school offers MFAs in painting, drawing, printmaking and sculpture. Financing is available through grants, scholarships, loans and institutional financing plans. Tufts University offers a 12-month MAT in art education. Of the 10,819 student body at Tufts, 5,284 are graduate and professional students. Despite the relatively high enrollment rate, students enjoy small class sizes and work closely with faculty, especially in MFA programs. Boasting a university gallery and a location ripe with prominent museums, including the Fogg, Busch-Reisinger and Isabella Stewart Gardner, students have ample opportunity to show off their work and find inspiration in local art. Accepting very few students, PAFA provides MFA artists with an intimate learning environment. Painting, drawing, printmaking, sculpture and illustration disciplines are all available through the academy’s MFA program. Focusing on studio practice and artistic development, the two-year MFA program at PAFA equips students with their own private studio. Academic and artistic merit scholarships are offered through PAFA, while larger awards are also occasionally granted. International student scholarships are available as well. Nearly 150 years old, CUNY Hunter College is one of the oldest public schools in the country. Located in the Lenox Hill neighborhood of Manhattan, Hunter College places students near major museums, galleries and stages, providing inspiration in arts on and off campus. The university is a leader in affordable higher education and was lauded by President Barack Obama as "one of the best colleges in the country." The school offers MFA degrees in creative writing, integrated media arts, playwriting and studio art. Of the 23,112 students attending, 6,233 are enrolled in the school's graduate program. Esteemed faculty include renowned novelist and two-time Booker Prize winner, Peter Carey, who recently received the 2015 Sunday Times Award for Literary Excellence. Located in the San Francisco Bay Area, the California College of the Arts sits among cultural institutions, innovative companies and underground movements. The CCA offers MFA degrees in comics, design, film, fine arts and writing. Each program partners with local art organizations or businesses, including Google, Intel, Skywalker Ranch, the Sundance Film Festival and more. In addition to writer forums and mentored study courses, the CCA’s location provides students with an opportunity to work with esteemed local cultural institutions. Students can pursue a variety of valuable and rewarding internships, such as teaching at 826 Valencia or editing at Eleven Eleven Literary Journal. CCA is home to nearly 2,000 students, but only 456 are enrolled in the graduate program, personalizing the MFA experience. CCA’s esteemed faculty includes two-time Oscar-winning director Rob Epstein, best known for his films The Times of Harvey Milk and Common Threads: Stories from the Quilt. With 163 graduate students, artists at the Museum of Fine Arts enjoy plenty of opportunities to interact with faculty and classmates. Small classes also provide better program flexibility and a more personal learning experience. Students can also pursue programs in conjunction with the school's partner universities, including Tufts and Northeastern. Acclaimed alumni include David Lynch, Ellsworth Kelly and identical twins Doug and Mike Starn. The MFA curriculum encompasses practical and critical skills across a variety of media and disciplines. Students develop through faculty mentorships and group critiques. Students have access to school equipment and their own semi-private studio space throughout the program. To conclude their two-years of study, students showcase work in a final thesis exhibition. Teaching opportunities and outside exhibitions and grants, including SMFA Travel Grants, are also open to students. An arts graduate school with just 156 students, Cranbrook Academy of Art offers personalized attention, premier resources and retention and graduation rate of above 98%. With self-directed and unscripted graduate study, Cranbrook is like no other art academy in the country. Ten resident artists mentor students, while additional support and guidance comes from the tight-knit academy community itself. After studying and training for two years, students display their work in the Graduate Degree Exhibition at the Cranbrook Art Museum. Cranbrook's campus is designated as a National Historic Landmark. Boasting architecture by Finnish architect Eliel Saarinen and statues by Carl Milles, Marshall Fredericks, Mark di Suvero and Michael Hall, the 319 acre campus is a gallery unto itself. From best-selling author Kurt Vonnegut to Pulitzer Prize winning poet Gwendolyn Brooks, CCNY’s creative writing program has been taught by some of America’s best writers. The program’s creative writing MFA is available with concentrations in poetry, nonfiction and fiction, while the school’s fairly low acceptance rate ensures you'll have small classes and talented peers. CCNY is dedicated to providing an affordable education, believing access and opportunity should be available to anyone interested in literature and writing. The school provides plenty of financial aid awards and scholarships, including several at the departmental level. A digital and interdisciplinary art practice MFA and MFA in studio art are also available at CCNY. The MFA in studio art and MFA in creative writing are just two of Wisconsin’s popular and competitive fine art program offerings. The MFA in creative writing includes instruction in fiction, poetry, creative nonfiction and playwriting. Since its inception in 1972, Wisconsin's MFA department has grown into one of the top programs in the country. The school offers affordable tuition and a variety of assistance funding through grants and scholarships. These include the Wisconsin Institute for Creative Writing's post-graduate fellowships, which allow writers from around the globe to complete their first books. Offering low-residency programs for their MFAs in creative writing and photography, students have the opportunity to take inspiration from a variety of sources. The MFA in visual arts includes residencies in the college’s new Lunder Arts Center, while a 10-day residency abroad is also available through the Dylan Thomas International Summer School in Wales. Offering MFA degrees in journalism, creative writing, art and theatre, with a rigid curriculum and course requirements, Indiana University of Bloomington MFA program will help you sharpen skills and master your discipline through rigorous classroom training and independent projects. Spanning more than 1,900 acres, the Bloomington campus boasts an array of historic buildings, some dating back to the late 19th century, with others built during the Great Depression, as part of the Works Progress Administration, most consisting mainly of Indiana Limestone. Celebrating 175 years, Virginia Commonwealth University boasts a beautiful campus that is home to both National Historic Landmarks and Virginia Historic Landmarks and a revered fine arts program. VCU’s MFA in creative writing program features small MFA class sizes, with a 4 to 1 student to faculty ratio through 8 full-time MFA faculty currently serving approximately 32 graduate students. Praised alumni include novelist Tom Robbins and best-selling author David Baldacci. Temple University’s location grants students access to unique cultural learning experiences, while faculty offer premier education, with their research being some of the most cited in their field. Temple offers more than 150 graduate programs throughout 17 schools. The Temple MFA creative writing program, MFA in photography and design programs and MFA in film and media arts program are located in three of the university’s seven Pennsylvania campuses. Students have an opportunity to participate in their online literary journal, Tinge Magazine, and are encouraged to pursue self-driven research opportunities made available through the Creative Arts, Research And Scholarship program. Rutgers University - New Brunswick offers an MFA program in theater arts and an MFA program in Visual Arts. The Master of Fine Arts in Visual Arts helps students expand their field of study and create an artistic practice they can apply to the real world. It encompasses seminars, studio coursework and critiques. Each MFA candidate receives a private studio in the school to use for their two-year endeavor. 3.5 year MFA programs are available for acting and design. A two-year program to receive an MFA in playwriting is also offered at Rutgers' Mason Gross School of Arts. Founded in 1754 by royal charter of King George II, Columbia University is the fifth oldest institute of higher education in America. The Ivy League school boasts Italian Renaissance style architecture throughout the 32 acres that make up the campus. While Columbia University offers MFA programs for artists and writers in many disciplines, all boast one-on-one time with esteemed faculty. The Visual Arts Program, for instance, requires MFA students to meet with a faculty member once a week for a 40-minute studio visit to discuss changes, progress and more. Visiting critics are also encouraged to drop by student’s studio whenever possible to help foster an engaged, well-educated student body. Founded in 1860, Bard College is nestled within the Hudson River Historic District, a designated National Historic Landmark. The campus overlooks the Hudson River and Catskill Mountains. It is an esteemed institute of art with both the CCS Hessel Museum of Contemporary Art and the Richard B. Fisher Center for the Performing Arts located on campus. The college boasts an impressive array of distinguished faculty, including best-selling author Neil Gaiman. Offering MFA programs in writing, design and art, students are required to select a primary focus of study for their MFA degree but are welcome to use resources across departments and work in various mediums. Earning an MFA opens doors to an array of opportunities previously unavailable to you. Though passion and talent will bring you far, the chance to dedicate your time to honing your craft will bring your work to new levels. You'll be introduced to worlds of new ideas and might even fall in love with a newly discovered specialization in your field. In an MFA program, you're given the once in a lifetime chance to work alongside some of the country's greatest talents. Not only will you soak up their wisdom and apply their teachings to your own art, you might even find a mentor. And these established professionals won't be the only important connections you'll make. The community of artists brought together through your program becomes a natural network after graduation. These are the people who can support you through the next stages of your career and connect you to other influential professionals. Furthermore, an MFA gives you the credentials necessary to teach in a college or university setting; it's virtually impossible to do so otherwise. Teaching offers stable work while still leaving room for you to explore your personal artistic endeavors. Additionally, post-secondary art teaching roles are projected to grow by between 15% and 21% from 2012 to 2022; your chances of landing a job in the field will continue to grow. Plus, you'll once again be among established, fledgling and even famous artists on a daily basis. There's so much for students to gain from earning an MFA. Opportunities to grow, make important connections and expand your career outlook are all benefits of attending a program. Serious artists should seize all chances to better themselves and their craft, and an MFA is the most direct and assured route.